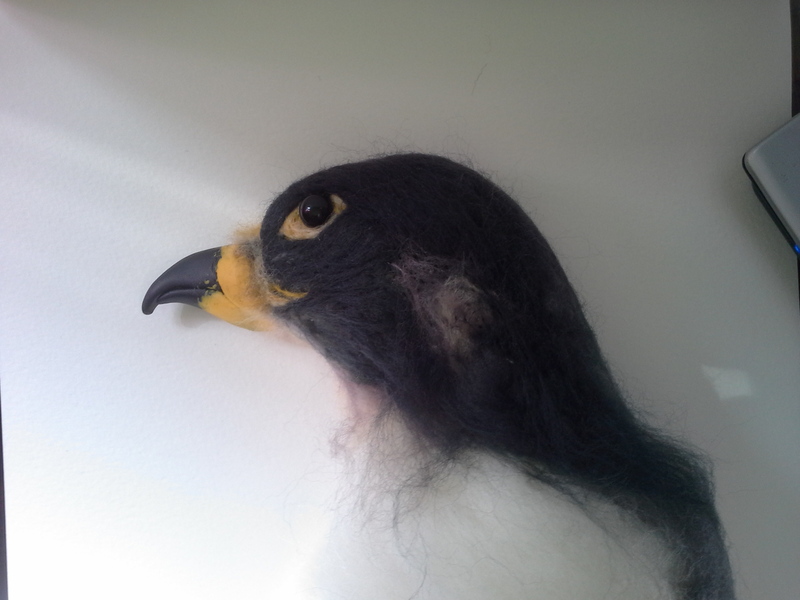 Needle felting the head. Not without trauma and a lot of eye surgery. I have a couple of transection drawings to work with, have found that the unforgiving nature of polymer clay is a bit of a hindrance to the smoother shape of the real thing. 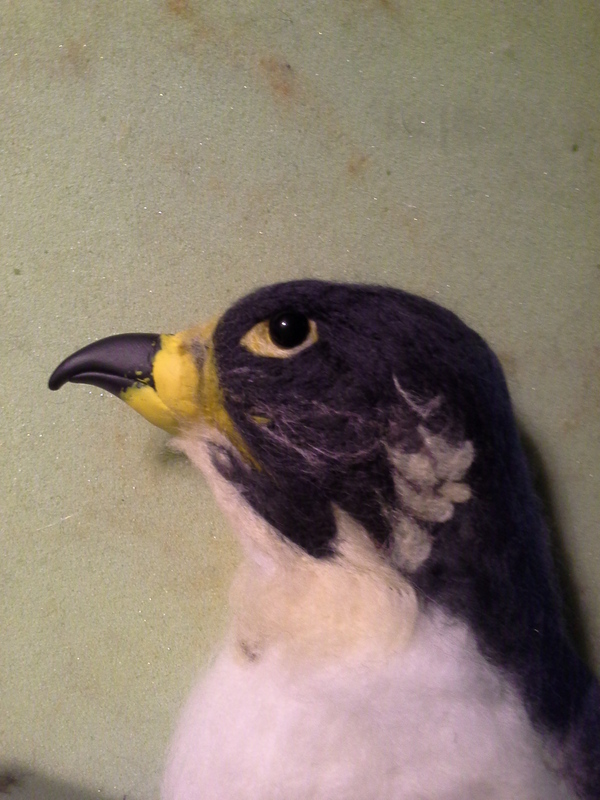 I may yet sculpt another one and replace the current beak. I’m amazed you can achieve such detail working in clay – he looks splendid!